ABB Measurement & Analytics Business Unit in Québec City, Canada, has signed a contract with Montréal-based company GHGSat to manufacture and test the optical sensor onboard the company’s third microsatellite (GHGSat-C2) aimed at monitoring greenhouse gases (GHG) emitted by industrial facilities around the world — GHGSat-C2, scheduled for launch in early 2020, will further the deployment of the GHGSat satellite constellation. Counting more than 30 years of experience into the traditional government space market, ABB has provided key hardware contribution to sensors flying on leading Earth Observation (EO) missions such as AURA; TERRA; SciSat1; GOSAT 1 and 2; NPP; JPSS 1, 2, 3 and 4; Meteosat; MetOp-SG and others. 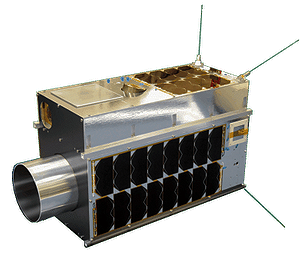 Leveraging significant internal investments, ABB is now combining its expertise in space instrumentation with its core industrial manufacturing strengths to offer GHGSat winning conditions for rapid payload production and integration in a highly competitive environment. Marc-Andre Soucy, Space and Defense Systems Director at ABB Measurement & Analytics Business Unit, added that this is an important opportunity for ABB to enter the commercial space sector and work on fast-paced, low-cost and high volume sensor development programs. This market segment is booming and ABB is determined to become a dominant player as our company is already structured for serial sensor production for industrial markets and highly specialized sensors for space.